Next Post The New Testament In a Week…Will You Join Us? I have strong memories of watching this show on PBS and loving it. Your hair is similar to mine! I have a photograph of my grandmother, whom I never knew, with her hair looking remarkably like Zelda's. I can remember older relatives talking about having their hair "marcelled".I've never heard of the story, but look forward to reading it. Maybe there's enough distance between me and my own "Bernice period" that I can enjoy it and ponder the lessons. Chasing Bawa, hmmm, had no idea who was on the cover. Now I'll have ato look up Louise Brooks. I have a terrible weakness for flappers, too, and so many great perfumes were 'born' in the twenties. Ahh, it would have been wonderful living then, I think, until the crash of the stock market. But then again, no one should count on money in the first place, right? :)Helen, I would love to see this on PBS. They do justice to so many stories/novels! Jane Austen's works come to mind, which I loved on PBS. 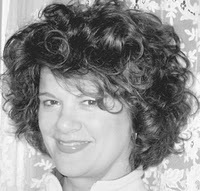 I'm afraid I've posted this picture of myself before, but it's the one which most closely shows off my favorite bob.Shoreacres, I've often wondered how hair was marcelled. I'll bet it was a combination of hot things (irons?) and did they even have gel then? Maybe some wicked ammonia kind of thing? I'd love to talk with you about this story. You're just the sort of person who would have the wise perspective, and input, that would put the story in a perfect light for me. As it is, I'm dwelling over its many facets and have been since I read it weeks ago. It's so great to read reviews on the Classics Circuit! 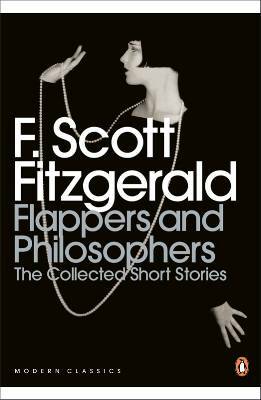 I have never even heard of this story, much less the wonderfully titled "Flappers and Philosophers" book by Fitzgerald. Thank you for letting us know about this. Shoreacres, you're right: a 'true' bob is shorter and straighter across. That looks horrible on me because it's so very harsh, but then again, who could look harsher than Hetty on the link you sent me. 😉 She's charming in her own way, somehow. I'm fascinated with beauty styles from the twenties, and of course, that's when Coco came out with her Chanel No. 5. I can't imagine the gel, then, though. It must have dried to a rock-like consistency.MustardSeedReads, thanks for visiting me. I love the Classics Circuit, too, with its exposure to such wonderful literature that may be new to me, but is rarely disappointing. 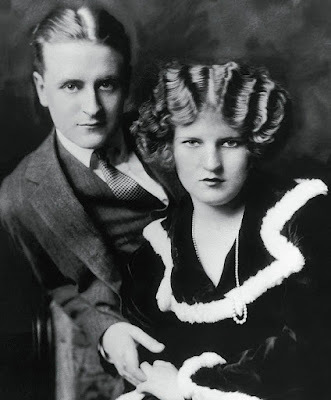 I had not known of Fitzgerald's short stories, only his novels like Gatsby, of course, and Tender is The Night. Now I'm in the mood to read everything he wrote. Hmmm…I'd be really nervous if a teacher compared me to someone in a book! Sounds like a fun and yet painfully applicable story. I have a number of Fitz's novels on my shelf but I don't have the stories, I should find them somewhere. Thanks for this. I read this story some time ago in an American short story collection, and loved it. I can totally understand why Berneice did what she did at the end :-). Didn't know that Fitzgerald had short story compilations published during his lifetime, though — will have to look into that.Too bad Bernice didn't have such a flattering hairstyle as yours in the picture…but then it wouldn't have made a good story 🙂 . Belezza – Loved the post. I didn't know this story at all. Oh your post has made me want to revisit Fitzgerald's short stories – I had a real passion for them when I was younger but I've not read them for many years. Zelda wrote some pretty nifty stories, too. Love your bob!